This coat was a Forever 21 purchase from a few years ago! I must admit, it keeps you so warm! It probably cost a fraction of what I have paid for more expensive coats! With the temperatures so cold, this has proven to be a winner! 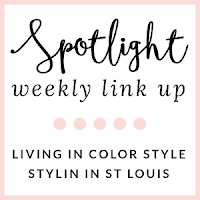 Spotlight: Our spotlight of the week is Rachael of Threads for Thomas! How gorgeous does Rachael look in dress? A perfect look for the holiday season! It has just the right amount of sparkle! 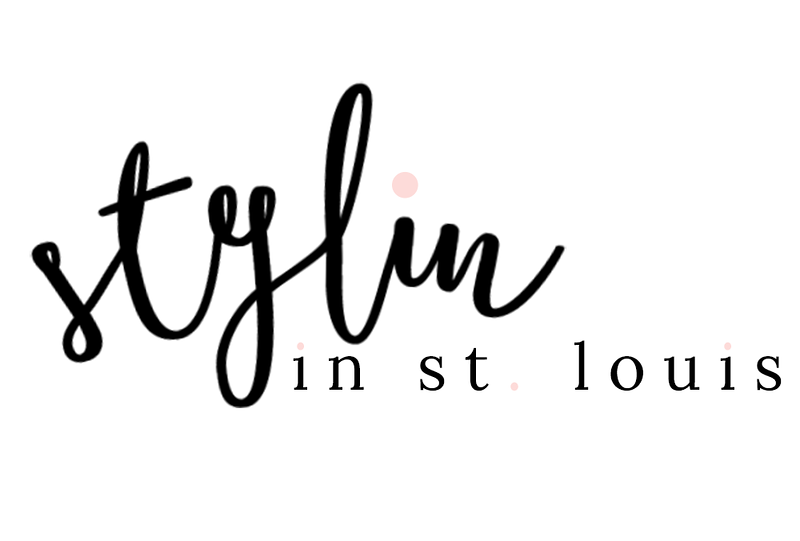 Make sure to check out her cute blog! Oh, I love your plum colored booties! They are perfect with your leopard coat. Your winter outfit is so cute! Love your pom-pom hat, fun coat, and colorful booties. Thanks for hosting! 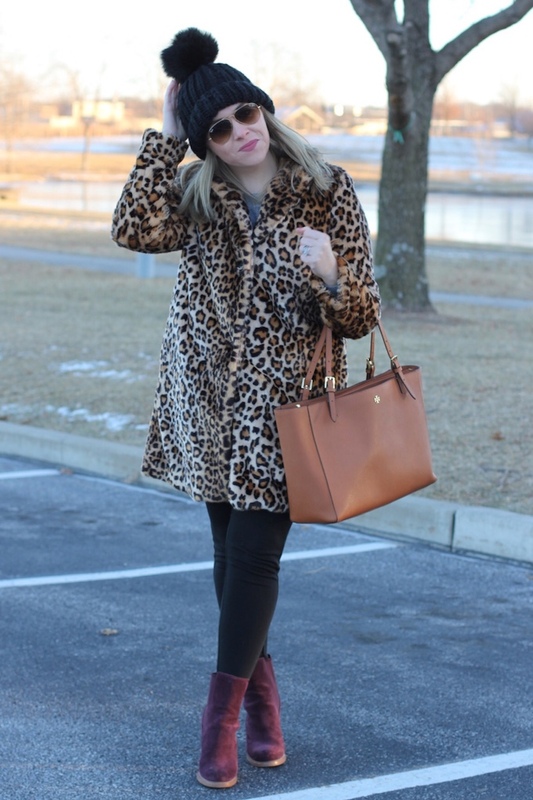 I love your leopard coat, and we are going to be showcasing our on the blog in a couple of weeks, too!! They are perfect!! 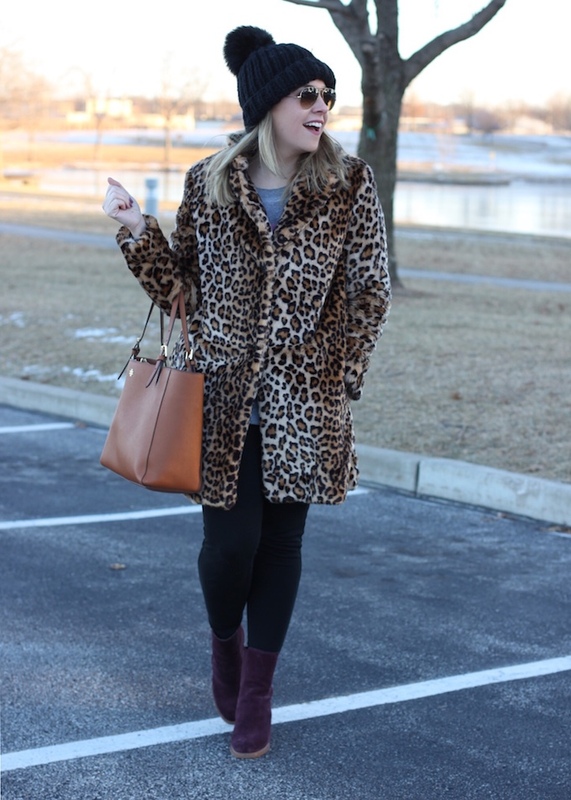 What a cute winter look, and I'm loving the leopard coat! 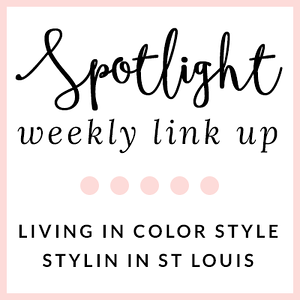 Thank you for the feature! Love this look! I absolutely need those booties, they're gorgeous!! That coat just looks warm and glamorous! 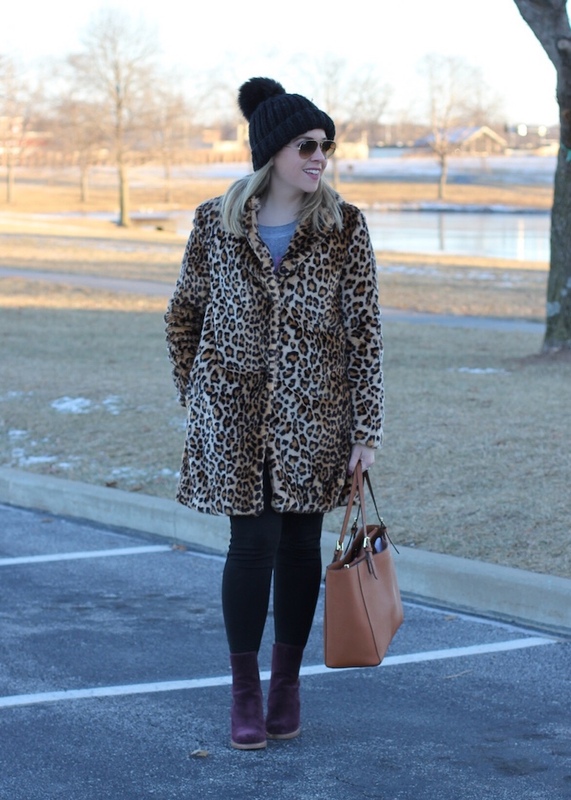 Love the leopard print and those booties are perfect! That coat is so cute (and it does look warm too) I love how it can be worn casual, but bet you can also totally glam it up. What a score! I love your leopard coat—I've been looking for the perfect one for AGES. That statement coat is just fabulous! Love your booties too! I love my leopard fur coat too, so chic and so cozy, you can't go wrong! love that coat!! IT is so pretty!!! Love leopard print! 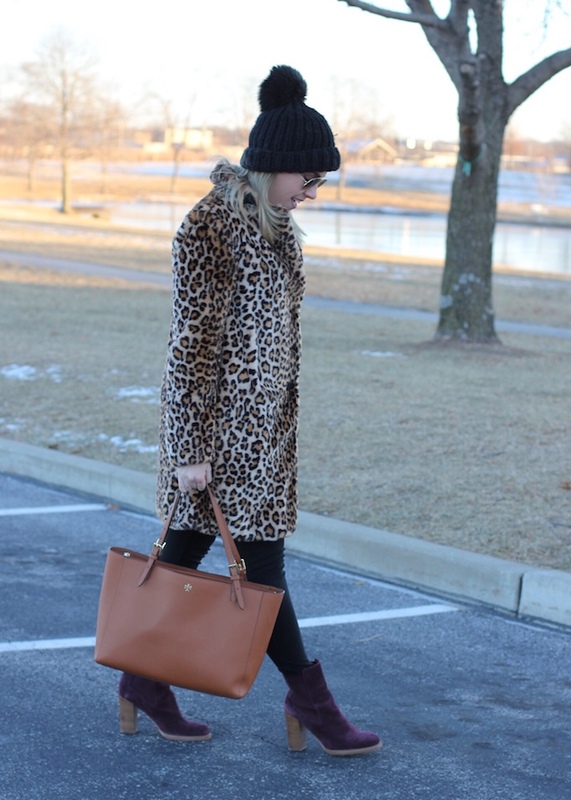 Love the burgundy boots and the leopard! 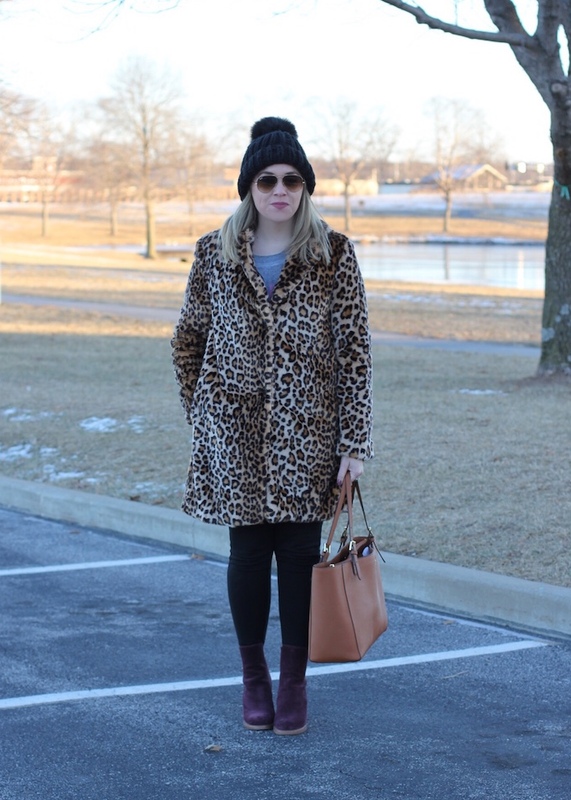 I have a fun fur leopard coat that I have had for years and I still pull it out every now and again. And I usually wear it with black, too!! 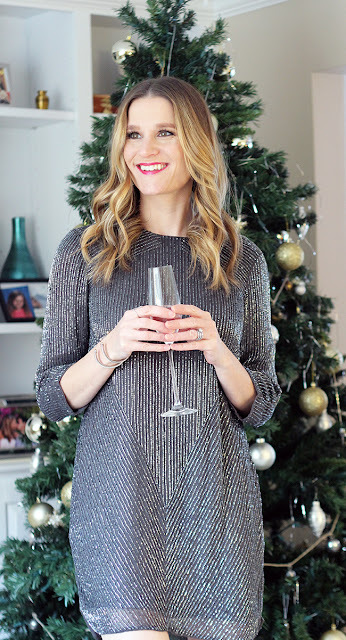 I love reading your blog, and Happy New Year !! I am super obsessed with the outwear leopard coats and I cant find one..wahhh! Anyway you look fabulous in yours, love how you styled it! HNY!! Leopard print never gets old. So chic, love that you paired it with pretty purple booties!